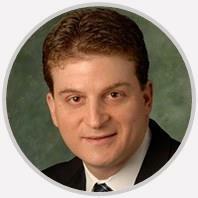 Dr. Eric Manoff is a board-certified orthopedic surgeon with subspecialty certification in orthopedic sports medicine. My first visit as a new patient. Dr Manoff was very thorough and I would recommend him to others. Dr. Manoff really took the time to explain everything to me. That is very important to me. Very professional and excellent shot giver!!!! The office and staff were wonderful. I took a fall yesterday, got x-rays done and your office was very accommodating. Took me right away and was very sympathetic to my situation. Thank you!